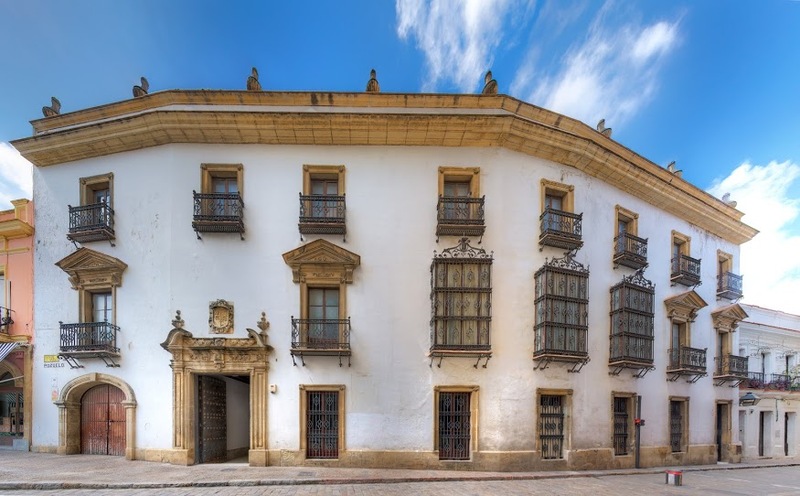 Newly opened to the public this year is the Palace of the Viceroy Laserna, in central Jerez de la Frontera, Spain and it’s definitely worth a visit. 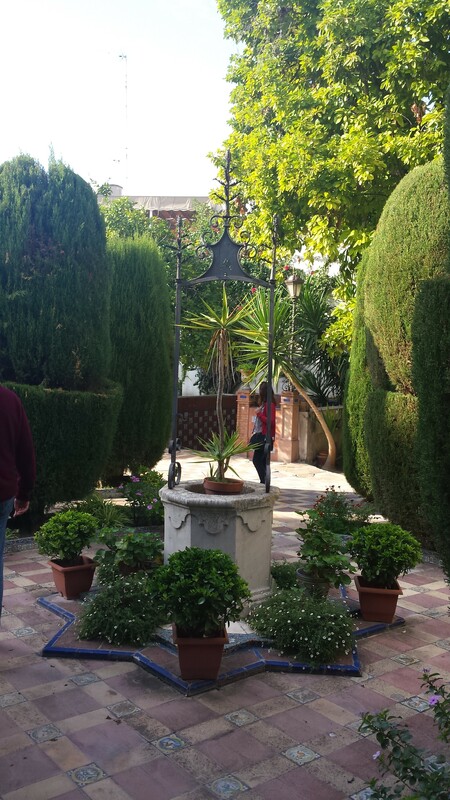 Close to the ancient Alcazar, the foundations of the Palace are Moorish in origin, though exactly who owned it isn’t known (its proximity to the Alcazar suggests that it was someone important). Tile-work and ceramics from that time are on display, found when the building underwent re-construction. In 1264, after King Alfonso X finally re-took the city, the house was given to one of his Christian knights, whom he left in Jerez when he returned to his ancestral lands, one Basco Martinez de Trujillo. The Palace passed through generations of the family, including, via an entailment, to the de la Sernas, thus giving it the name it bears today. That name is of the Viceroy or Virrey de la Serna, first Count of the Andes. Born in 1770, he was, primarily, a soldier, who became Viceroy of Peru following the resignation of the previous incumbent. This was a period of tumult in South America as Spain’s colonies first tried to retain their allegiance to King Fernando VII, ( imprisoned by Napoleon ) then to become independent. De la Serna represented the Spanish crown and fought, successfully, against the nascent independence movement led by O’Higgins, then San Martin. He must have been an exceptional individual, as, at the same time, he managed to gain the respect of another antagonist, Simon Bolivar. Returning to Spain, injured, after the defeat at Ayacucho, he was made Count of the Andes. He died in 1832. The title, along with others, has stayed within the family, which has remained staunchly monarchist – the 7th Count being imprisoned by General Franco for his partisanship to the King in exile. The Palace was extended in the late 17th century, in the early 19th century and again in 1925, when a new wing was added. The interior décor is a mixture of the European Rococo style, found in the gilt, plaster work and silken walls of the various Salons, and the traditional Andalucian, such as the white walls, wooden beams and fine tile work floor of the Gallery. The renowned flamenco singer, dancer and actress, Lola Flores, first danced in public in the Gallery, at the age of eleven. The tiled floor flows out into a tranquil and delightful private garden. Throughout there is fine furniture, some of it very old and beautiful; old master paintings, including various Flemish masters and a Zubaran and some exquisite sculptures. 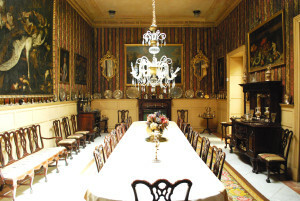 Upstairs the rooms are very grand, but the numerous family portraits and photographs attest that this remarkable building is still and always has been a family home. 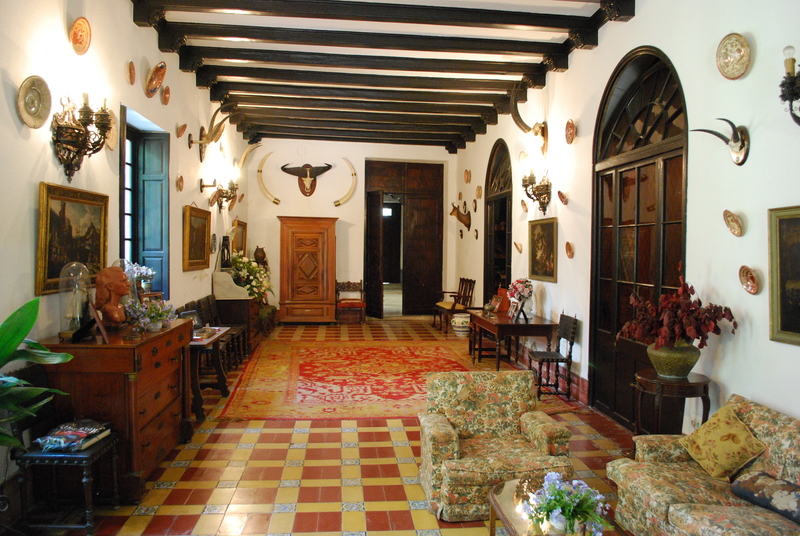 The Palace is located on Calle Pozuelo, Jerez de la Frontera and open Tuesdays to Saturdays and Sunday mornings. More details, including of nearby parking, can be found on the website. The Palace also features on social media. A visit costs 7 euros and comprises a guided tour, conducted in Spanish, English or French. Try the virtual tour here. Please note, photography inside the Palace is not permitted. the photographs accompanying this article have been supplied by the Palace’s Director General. This entry was posted in From a Foreign Field, History and tagged Foreign field, Worth a visit by juliej. Bookmark the permalink.